China’s pig population is approaching one billion, so you can imagine how much pig poo the nation has at its disposal. One Australian firm, CRC CARE, thinks it can turn all of that waste into much-needed energy. Partnering with Hong Kong technology firm HLM Asia Ltd., CRC CARE has developed the “PooCareTM,” a bioreactor that can be installed below ground at pig farms. The demand in China for pork results in 1.5 million tons of pig waste annually, but because it is so full of nitrates and other contaminants, effluent from pig waste contaminates water and is a massive human health risk. If CRC CARE is successful, they could divert all of that harmful material and get some fuel out of it as well. 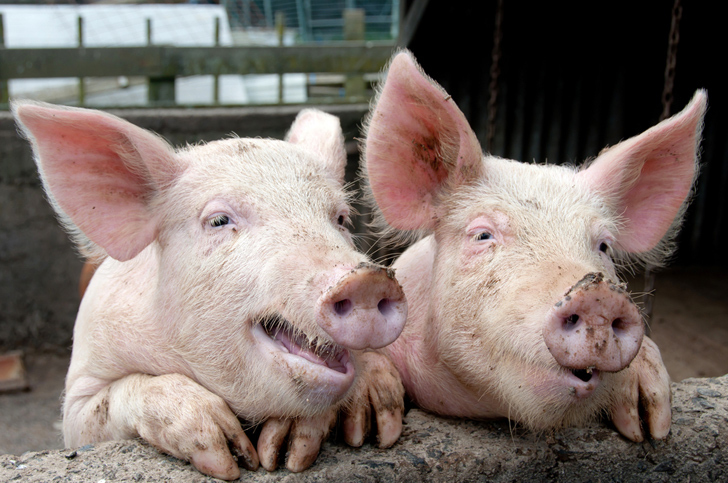 CRC CARE’s PooCareTM is a system in which pig waste is slowly fed in at a consistent temperature, and then eventually reprocessed into biofuel for cooking. After one month, tanks of biogas are ready for delivery to local customers for household use, and the remaining waste is then converted to fertilizer and delivered to farmers. The entire system is huge – at 98 feet long by 33 feet high and 13 feet wide. For now the first bioreactor is operating at a farm in Wuhan province in central China. 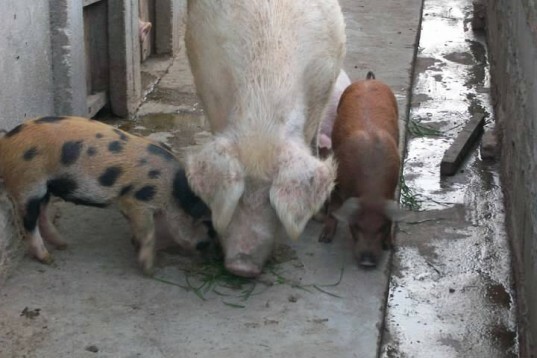 For now only one-tenth of pig waste on Chinese farms is salvaged and used as manure. The rest is disposed of haphazardly. The problem will only worsen in China, which has recently seen its total meat consumption double that of the United States. Pork is the bulk of what Chinese eat as the protein of choice, with 52 million tons of it consumed a year. Meanwhile the nutrients wasted from one pig alone come at a cost of an estimated $50 annually. The challenge China will face confronting pig waste and additional pollution from agriculture is price. The average farmer in China only makes $75 a month. For now CRC CARE’s bioreactor costs over $36,000. Mass production and rising farmer incomes have a long way to go before such a system can scale and address China’s rural pollution woes.